Of those two options, using the same password everywhere is, by far, the worse option. It seems like every day we hear of one service or another who has been hacked and their user's data absconded with, including usernames and passwords. The first thing cyber criminals do with these credentials is try them out on high-value sites, such as banking and finance. So, as you might imagine, if you use the same credentials everywhere, these criminals now have the proverbial Keys to the Kingdom. Both apps work similarly... you first create a "master passphrase" and you then save all your websites' usernames/passwords within the app's database. From that point onward, you do not have to remember those individual logins; you just unlock them with your master passphrase. Both apps will generate secure passwords for your website logins. They also let you create secure notes to hold banking info, credit card numbers, etc. And both provide ways of sharing your logins with co-workers, family members, etc. You really can't go wrong with either solution. 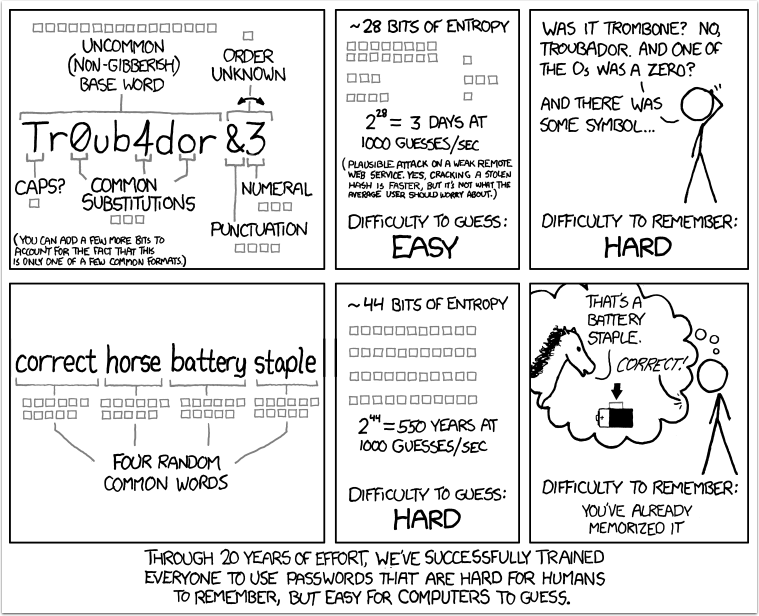 Both work well and are considerably better at managing our passwords than our poor overloaded brains.